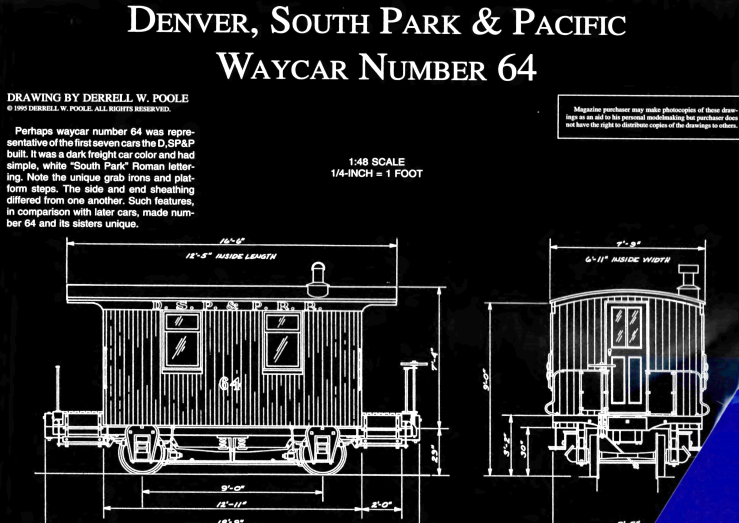 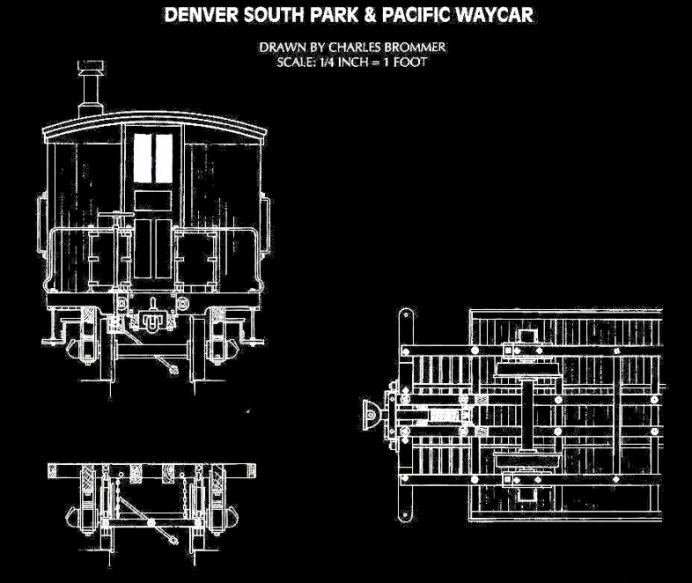 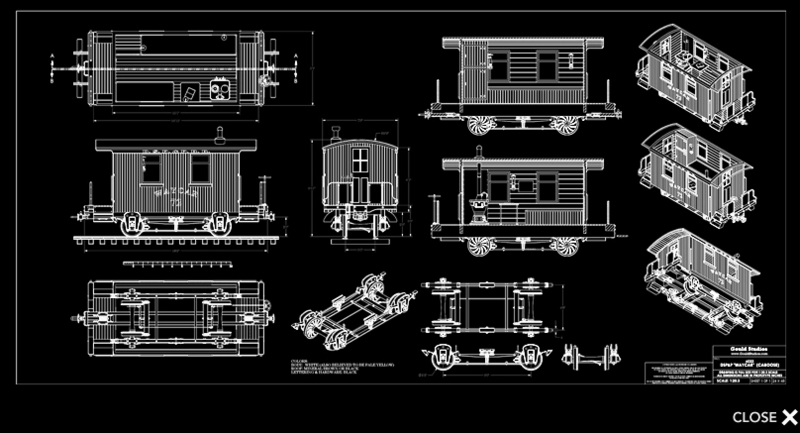 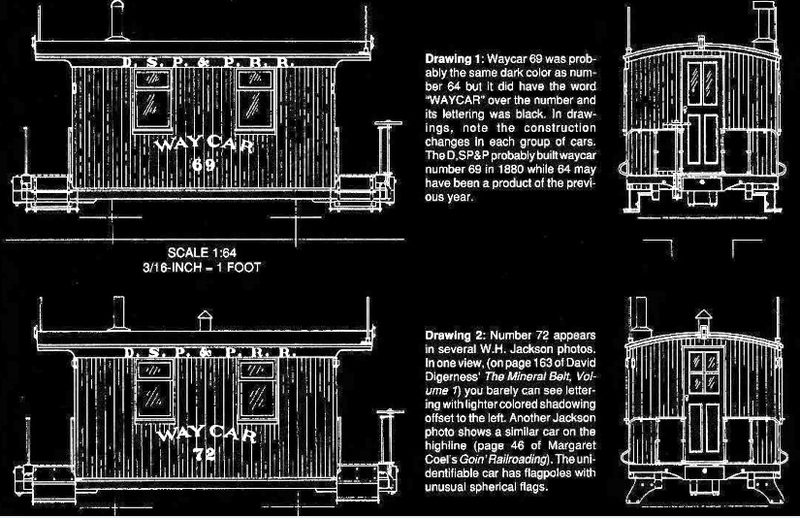 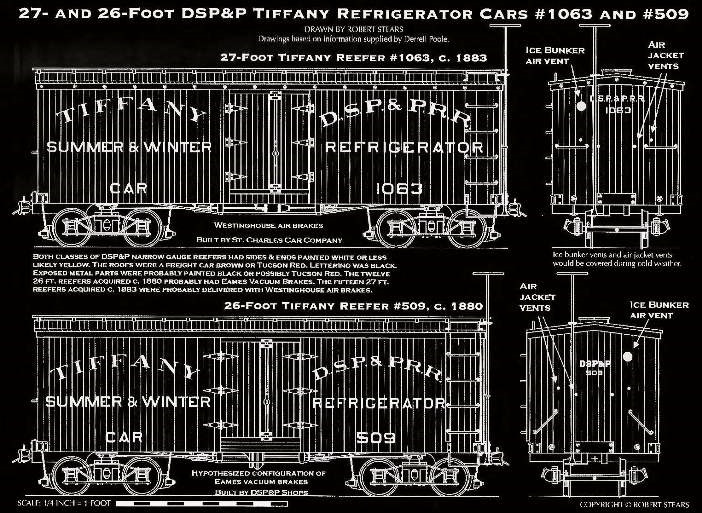 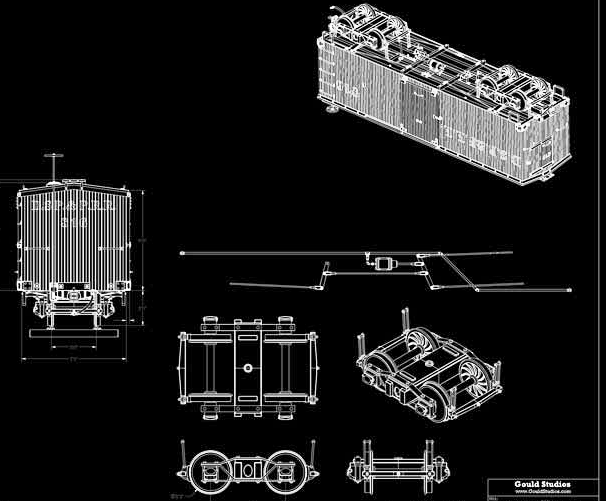 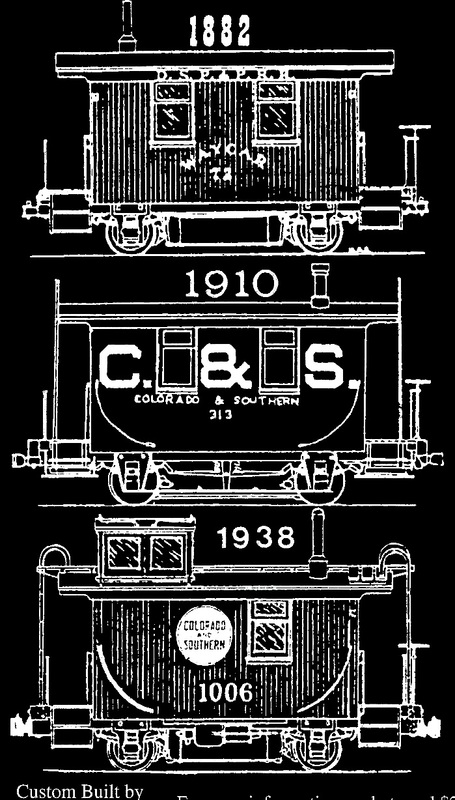 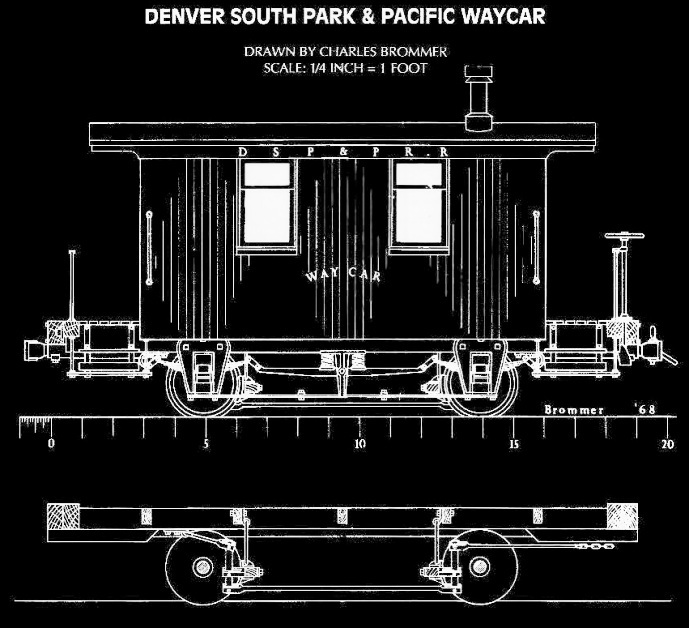 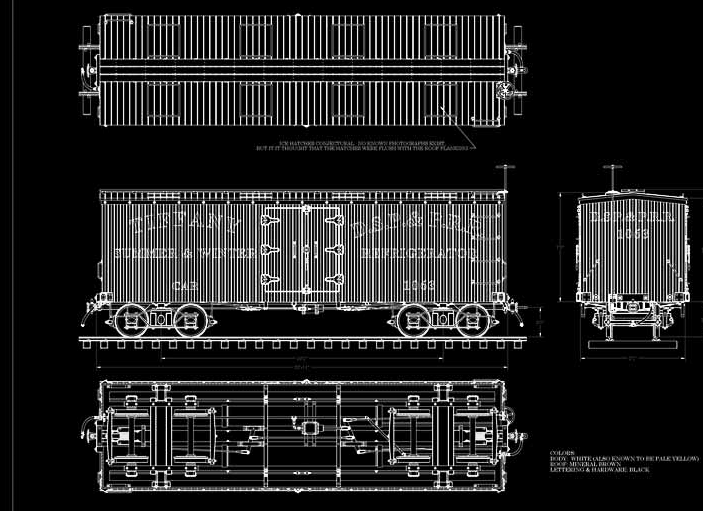 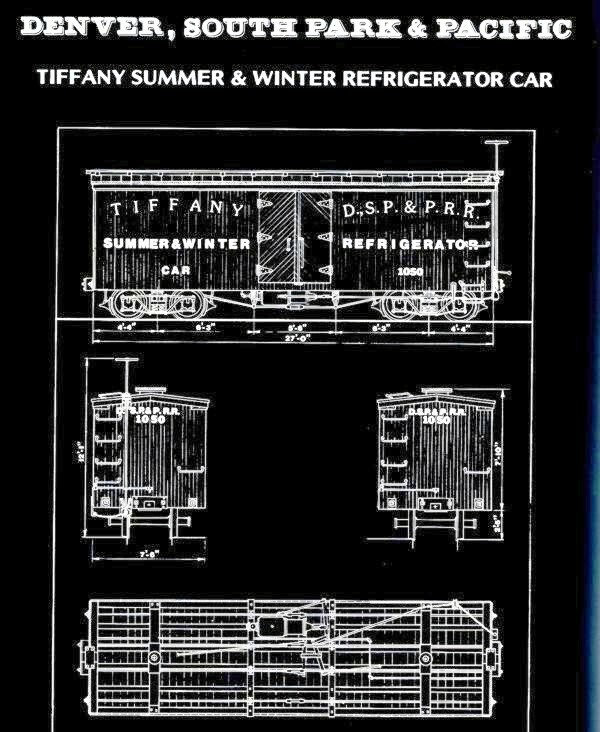 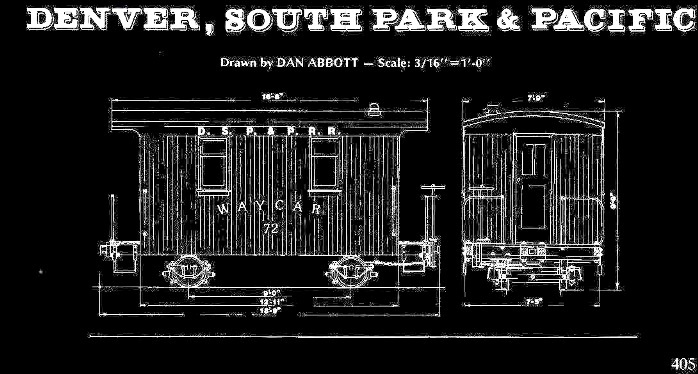 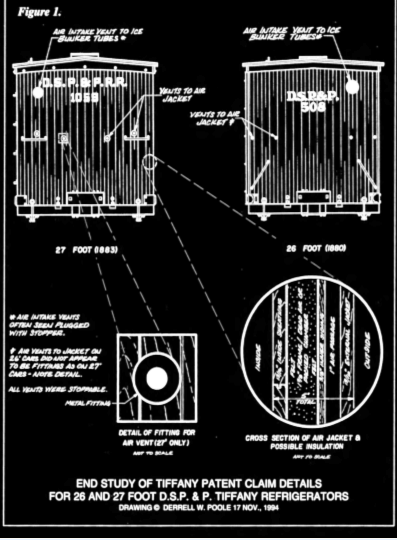 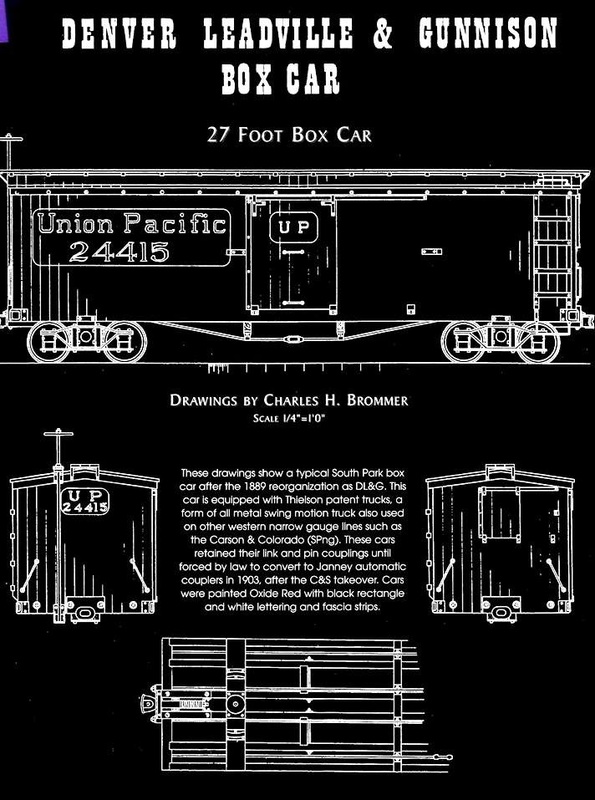 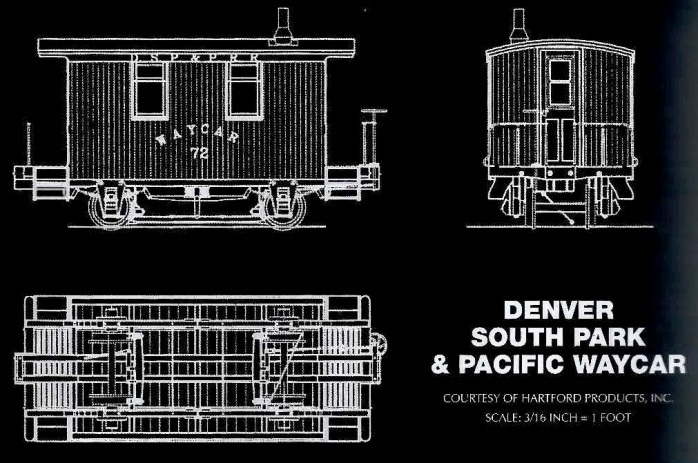 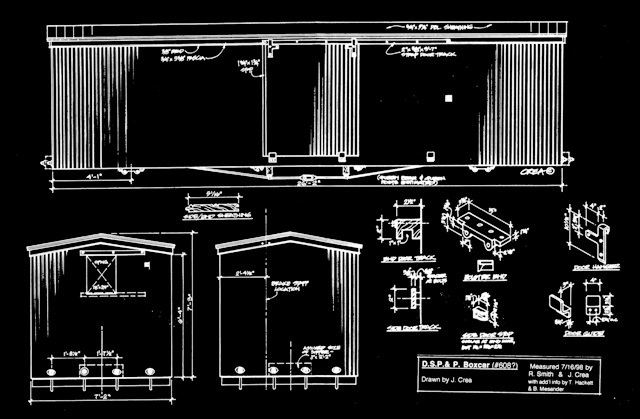 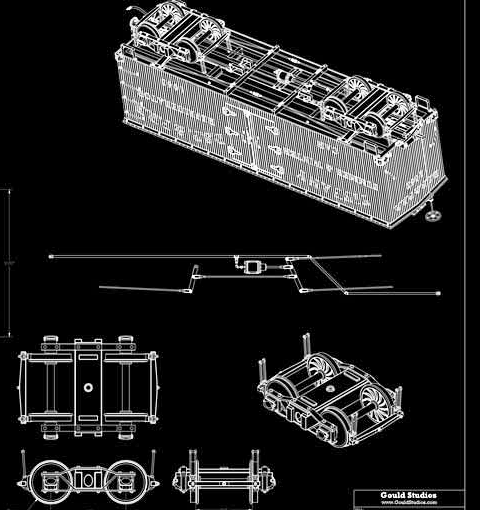 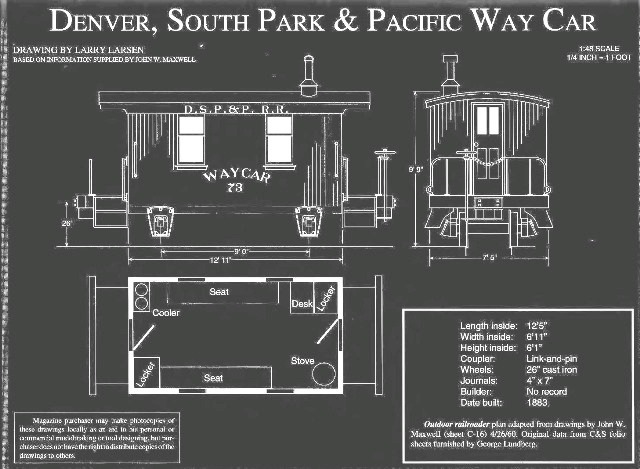 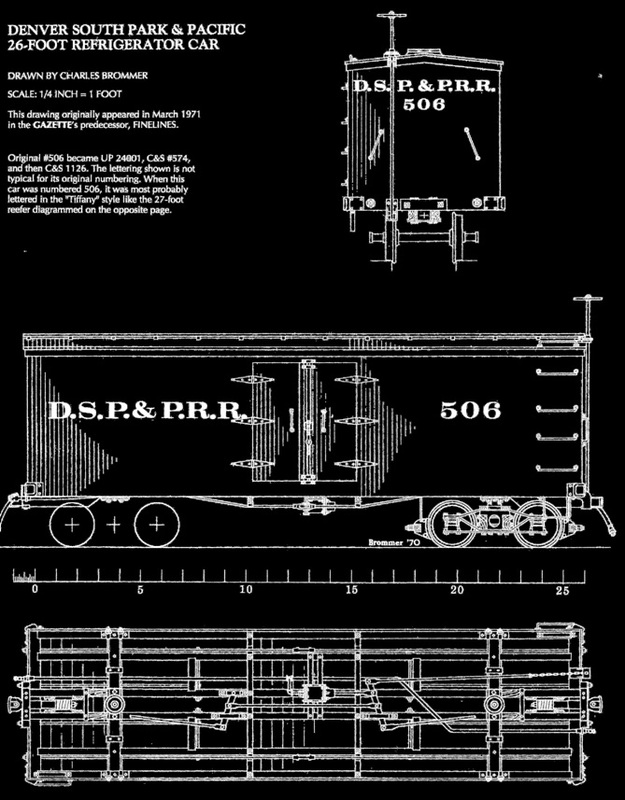 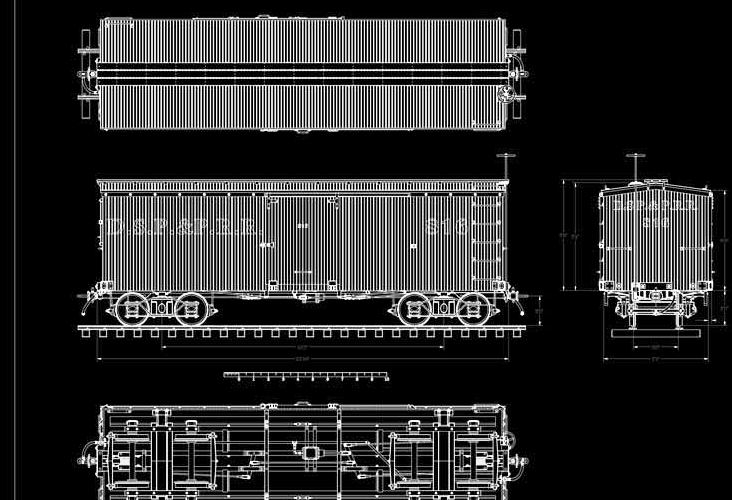 This page contains plans of Denver, South Park and Pacific Railroad freight cars that have been collected over many years from various publications. 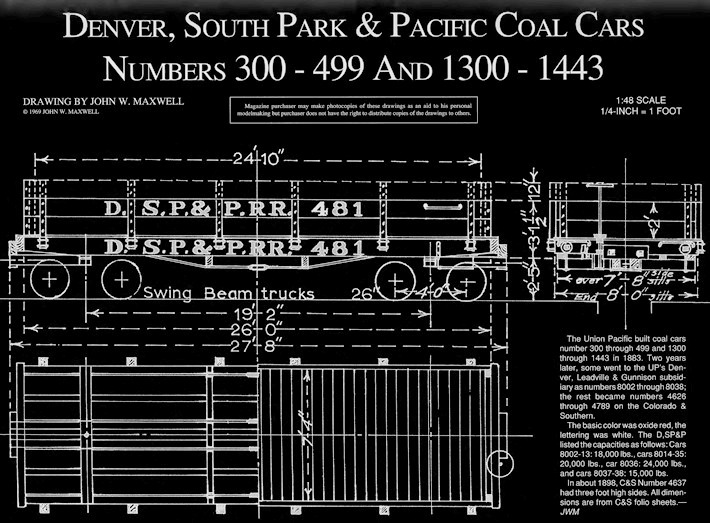 They are shown in reduced size to protect the original copyright, which remains with the artist, author, or publisher. 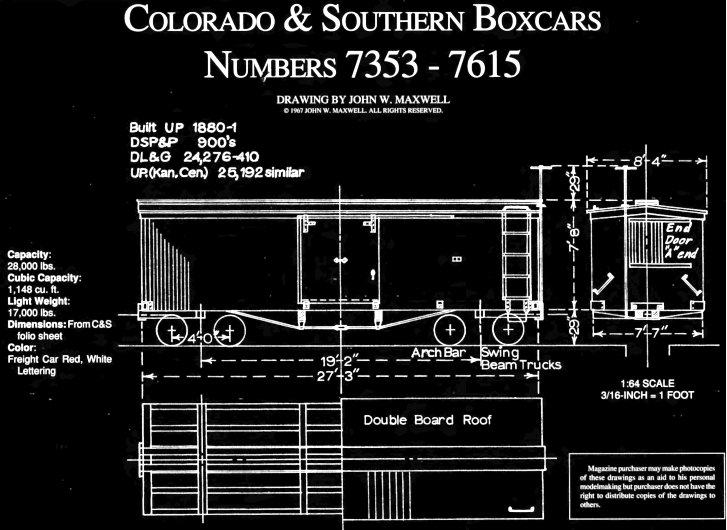 Most plans show the equipment in its "as built" state; some show them at a specific date. 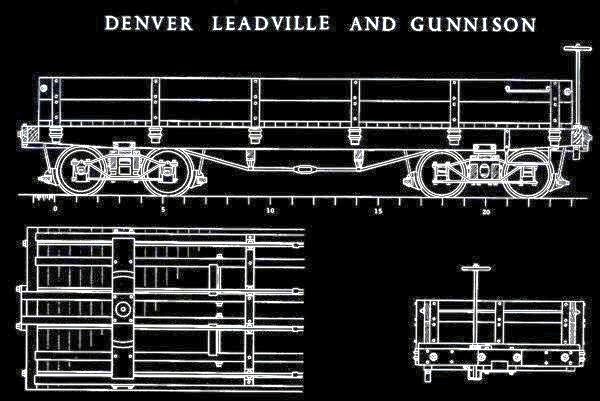 Numerous updates and modifications, some unique to specific pieces of rolling stock, occurrred over the years. 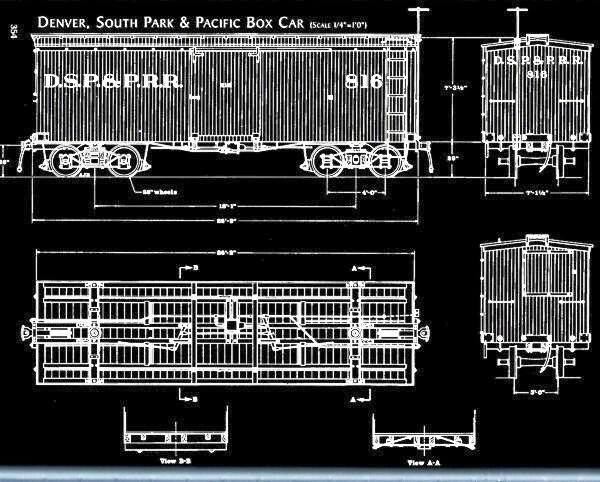 Photos, folio drawings, history, and models of DSP&P rolling stock appear on other pages of this website -- see Site Navigation. 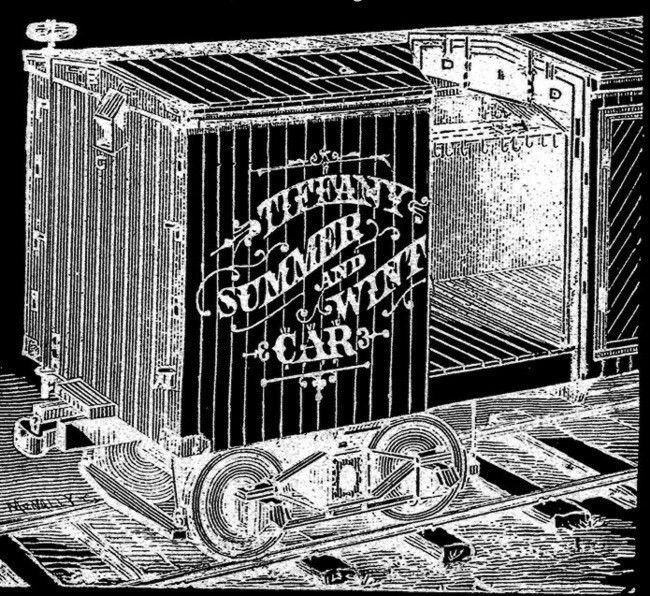 Note roof hatch and lift ring, interior cool air ducts, meat hooks on rail inside car,and end vent (1879). 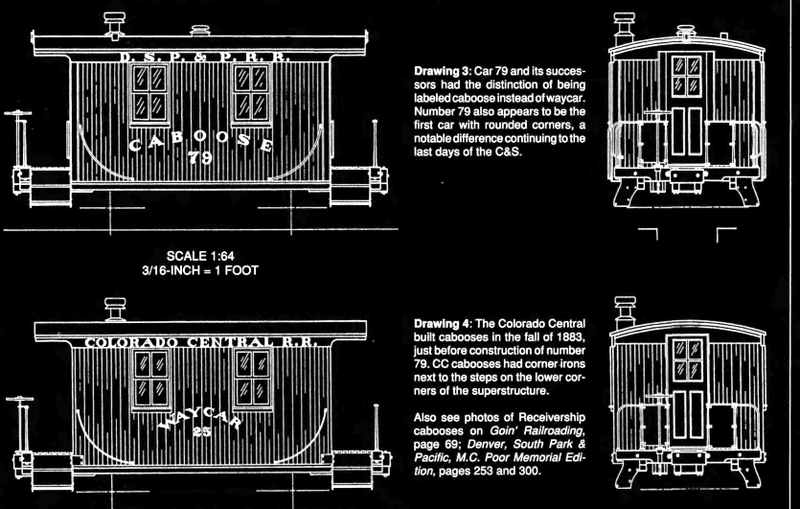 headroom in a narrow gauge car. 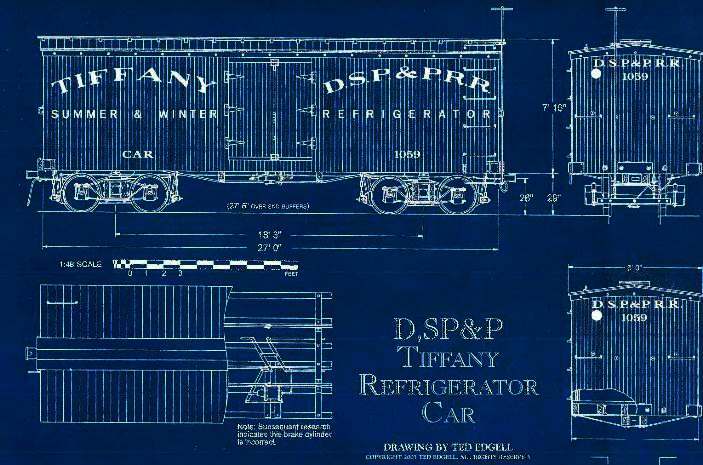 See also Tiffany Patent.